Got yarn? Got rocks? Good. Then you have all the materials needed for today's summer craft. We'll be doing some easy rock wrapping! 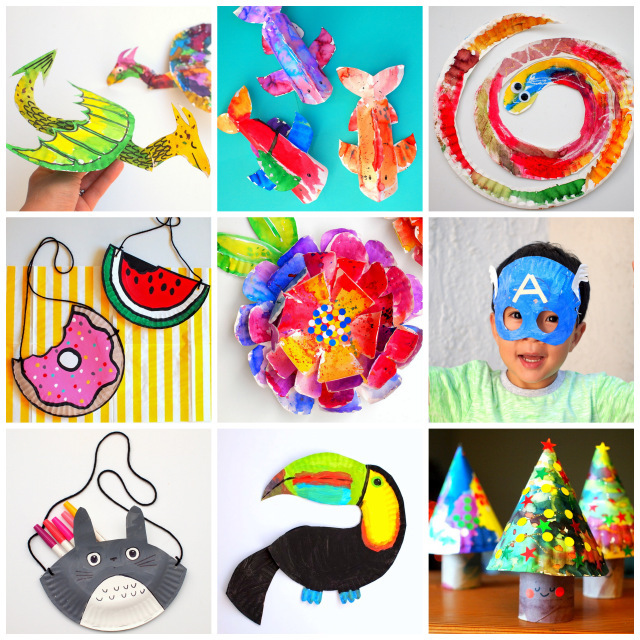 30+ Awesomely Unique and Fun Paper Plate Crafts for Kids! And in honor of this week's theme, I thought I'd also share my absolute favorite paper plate crafts! 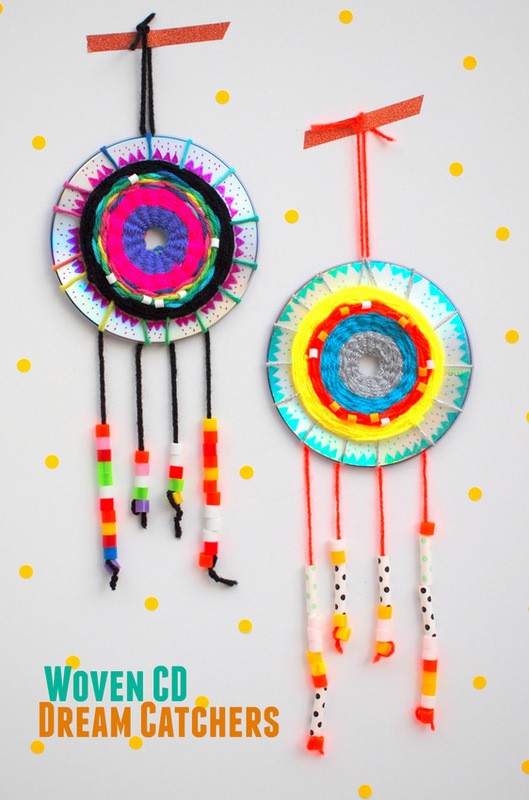 30+ Super Fun and Unique Paper Plate Crafts for Kids! 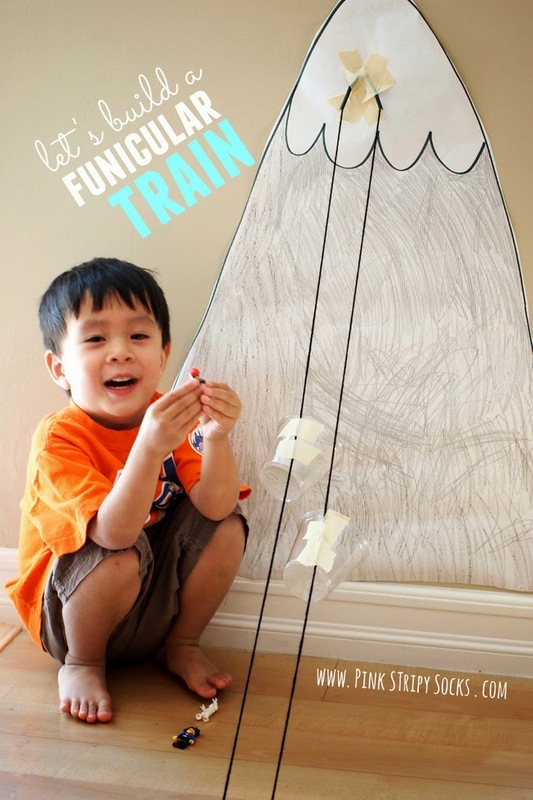 The quest for super fun and easy summer crafts continues! 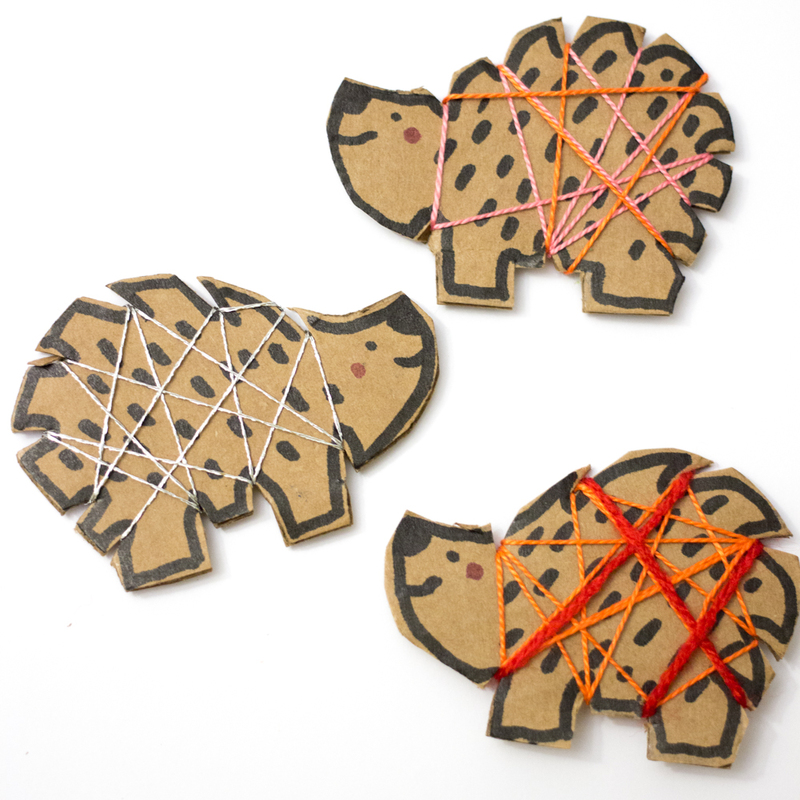 A couple of days ago we made these adorable woven turtles out of popsicle sticks. They were a hit! And of course... that got me thinking... is it possible to make even tinier God's eye crafts that you can wear? Well. The answer is YES! Today I'm sharing these tiny God's Eye Woven Pendants. You an make a whole bunch to wear or give them away to friends! 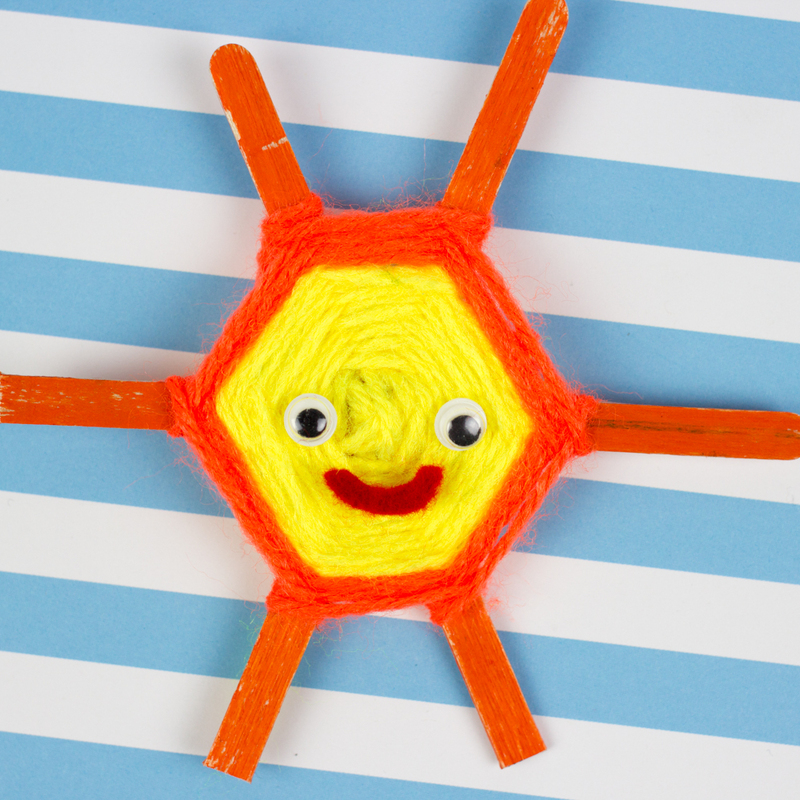 Looking for some fun and unique summer crafts to do with the kiddos? Me too! School is almost over and I've got summer crafts on my mind! Today I'm sharing this fun twist on a God's Eye weaving craft. (Remember collecting sticks and making those in summer camp?) But, instead of making the traditional 2 stick version, we recently made a fun 3 stick version.... that also happens to look like a tiny baby turtle! Our tree is finally up! 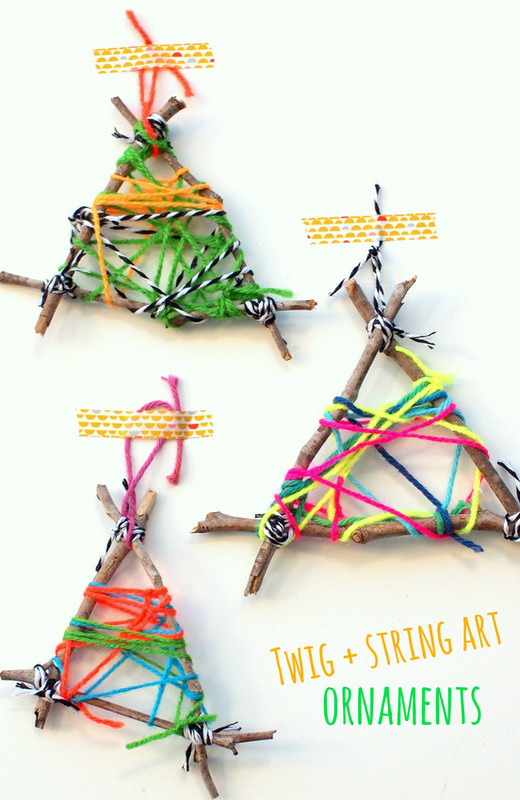 And since I love me some Christmas crafts, my son and I recently whipped up these lovely (and easy) string art twig ornaments! Looking for an unusual Halloween Craft that'll please kids of all ages? My son and I recently made this sparkly and lacy yarn spider web craft together. The results were really, really beautiful and the process was really unique! 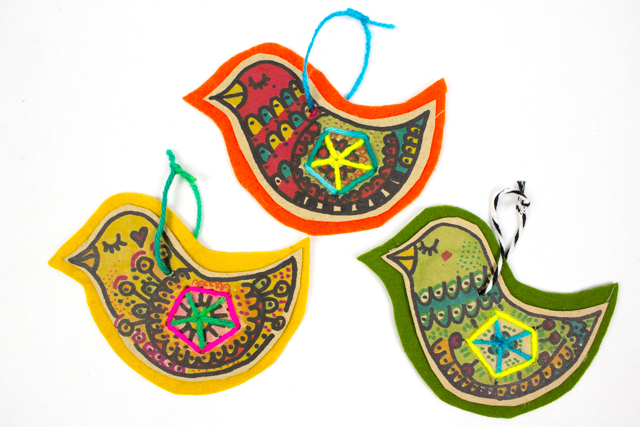 Today we're continuing with the theme of easy fall crafts. Couple of days ago I shared this really beautiful Sewn Leaf Art project that I made with my preschooler. Today I just wanted to share this gorgeous folded paper leaf banner. I came up with the idea after reading some fall-themed books with my son. Seeing all the beautiful colored leaves in the books made me miss the fall leaves back on the East coast. And then it hit me- why not make our own? Bring a bit of fall to our forever-summer state. And so, my son and I got to making and painting together. The results came out so beautiful that he insisted we hang the banner up in his room to spruce it up. Have you seen the movie Totoro ? We recently checked it out from the library and have already watched it a dozen times! Totoro is a large, furry forest spirit who helps two sisters adjust to their new home. My preschool son loves it because there are no bad guys, the sisters have a really sweet relationship, and Totoro is extremely cute. 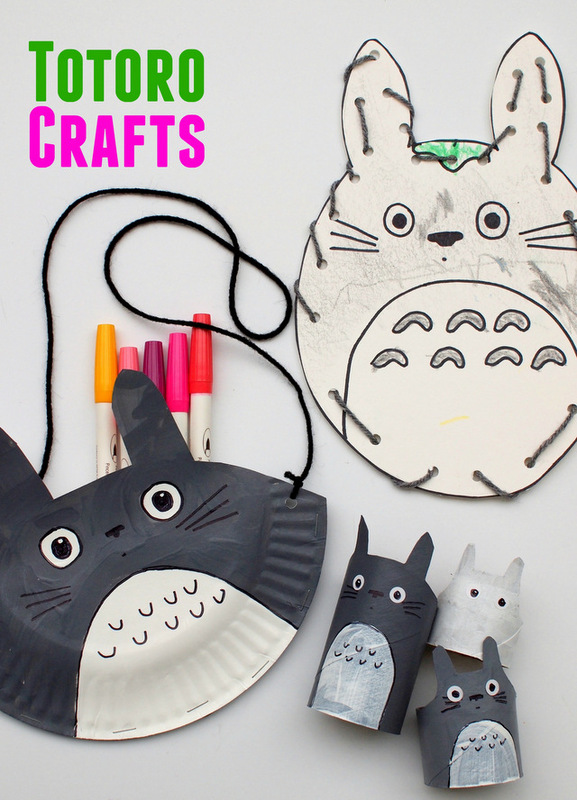 So today I'm sharing 3 Totoro crafts in honor of this great Miyazaki anime! I recently saw this fabulous post on painted bead necklaces by fellow Rockin' Art Mom ArtBar Blog. Her students painted such beautiful wooden bead and cardboard necklaces. I was really intrigued by the idea of using corrugated cardboard to make "beads," so I thought I'd give it a try myself. Last weekend our town held its annual Lemon Festival, so I painted myself a lemon necklace to wear there. And since Halloween is always on my mind, I painted myself a skull and bones necklace too. Here are the results! Let's Make Some Cardboard Beaded Necklaces! Aren't they cute? Let's get making! I love making interactive toys for Chuck. There's something immensely gratifying about creating something that's beautiful, functional, and fun.... out of recyclable items! Recently I made these two cardboard climbing circus men toys for Chuck. You pull on the strings and the men race to the top. Hee hee. Do you dig their leotards, chest hair, and handlebar mustache? Yup. These manly men exude quite a bit of style, don't you think? I've been meaning to try out weaving for awhile now. I decided to start out small with this cup weaving project. It's a super simple craft that can be completed while watching your favorite tv show. (Yay Agents of Shield! Does that make me geeky?) To make your own cup weaving, you'll need some yarn, a pair of scissors, and a plastic cup and then you're ready to go! Pretty right? The yarn really transforms my plain old disposable plastic cup into something useful and beautiful. Ok. Let's get weaving!